Major architecture firms including Zaha Hadid Architects, Foster + Partners and Santiago Calatrava are setting up office in Dubai as the Middle Eastern architecture market booms. Each of the firms is moving into offices in the city's Dubai Design District. Norman Foster's firm is set to move in come January 2017, while ZHA already opened its office earlier this month. Spanish architect Santiago Calatrava and international architecture and design firm Benoy will also open new offices in the creative district of the United Arab Emirates city, joining 30 other architecture practices already based there – including Grimshaw. "ZHA's office in Dubai has been established in response to the solid growth in demand from new and existing clients across the region, providing even greater levels of assistance, coordination and communication with our increasing client base throughout the Middle East," said a statement from ZHA. The firms are all working on major projects in the Middle East. The office of the late architect Zaha Hadid recently unveiled plans for a preservation centre in Saudi Arabia and a hotel in a new coastal city in Qatar. Spanish architect Santiago Calatrava is working on an observation tower in Dubai Creek Harbour that is expected to surpass the 828-metre-high Burj Khalifa – currently the world's tallest building. Calatrava is also designing the United Arab Emirates' national pavilion for the Dubai Expo 2020, a building intended to look like a falcon in flight. Foster + Partners is working on a creative hub as part of the Dubai Design District, as well as a chamfered glass skyscraper in the city's financial district. 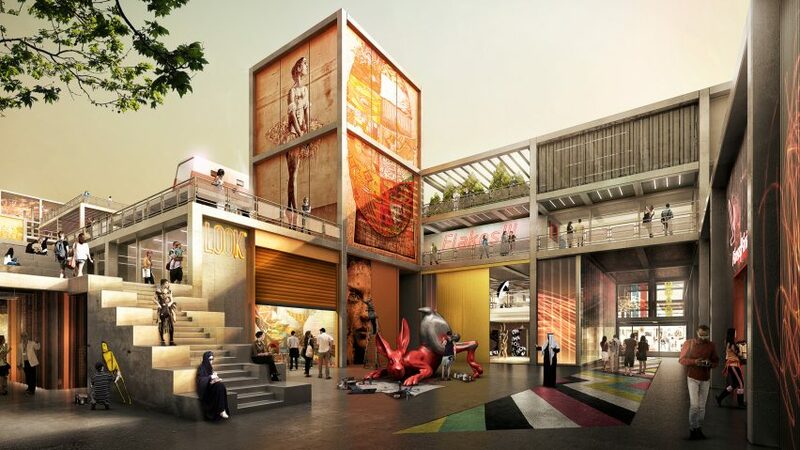 "The emergence of Dubai as a global design destination is exemplified by the success and popularity of d3 (Dubai Design District)," said Gerard Evenden of Foster + Partners. "We have been heavily involved in its conception, through our projects for the Creative Community and Dubai Institute of Design and Innovation, and our continued presence in d3 reflects our commitment and belief in Dubai as a centre for design and innovation." The architecture industry in the Middle East and North Africa is booming. It is forecast to expand by 7.4 per cent in the next year, according to a statement from Dubai Design Week – which is held in Dubai Design District. The statement attributes the boom to countries such as Qatar and Saudi Arabia investing in major infrastructure projects as revenue from crude oil dwindles. Earlier this year Foster + Partners, BIG and Grimshaw were named as the designers of a trio of pavilions for the 2020 Dubai Expo. Dutch architecture firm OMA has also announced its first project in Dubai earlier this year, while Danish firm BIG is also working on the world's first Hyperloop high-speed transport system in the city.